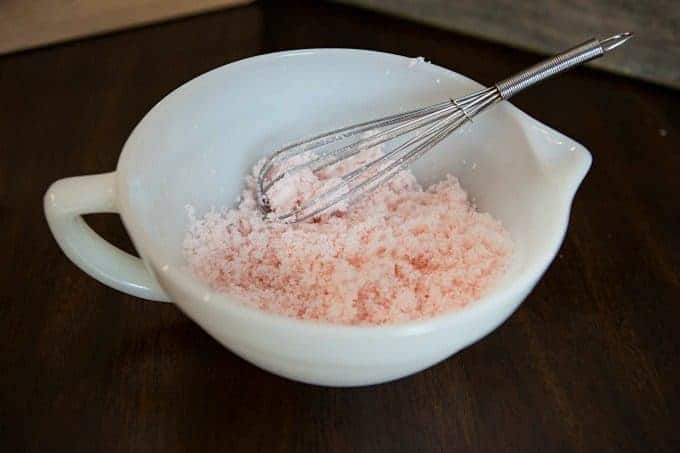 This Peppermint Sugar Scrub is so easy to make and the perfect DIY gift to give to friends and family. 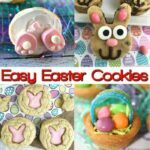 Only 3 ingredients needed and about 10 minutes to make! 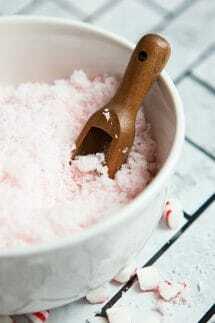 We love our DIY Holiday Gifts and a DIY body scrub like this or our Coconut Lime Ginger body scrub make a great and thoughtful gift. I adore DIY holiday gifts. 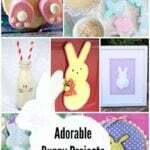 I just think it adds something special when you can give something made with love! 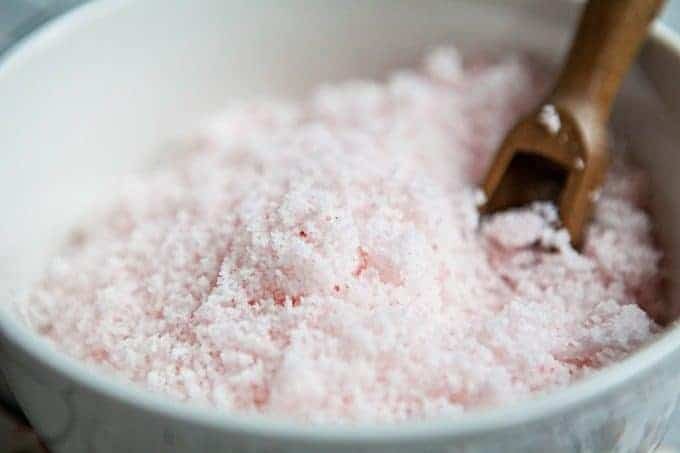 Not only is this Peppermint Sugar Scrub an adorable holiday gift, but also makes your skin feel so soft and smells amazing. Personally, I think it is way better than the expensive scrubs you can buy at beauty stores or boutiques. 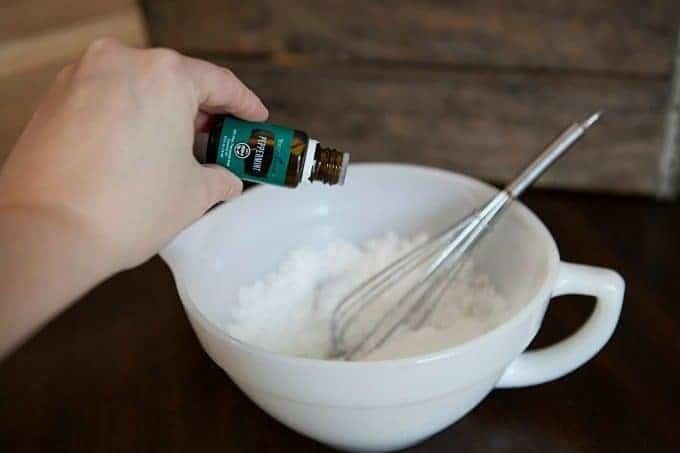 You can double or even triple the recipe and put the scrub into some small mason jars tied with a bow and a pretty gift tag and your holiday gift giving is done in an afternoon! 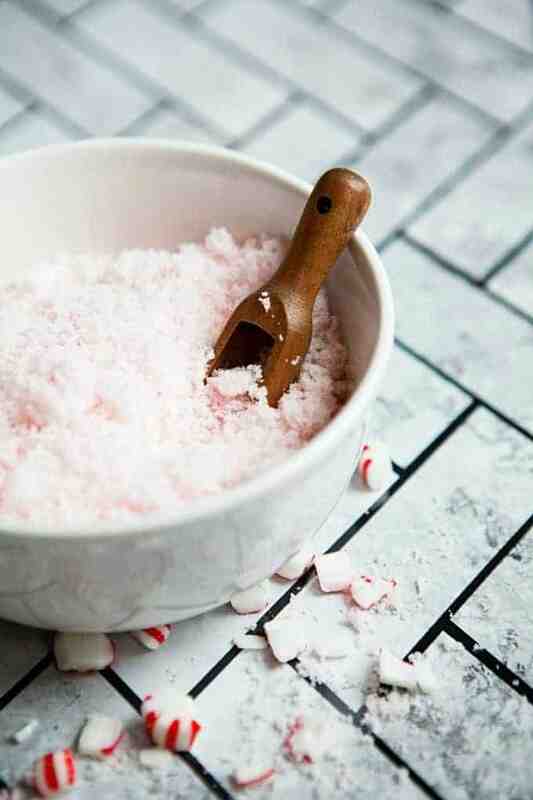 It is very easy to make your own peppermint sugar scrub. 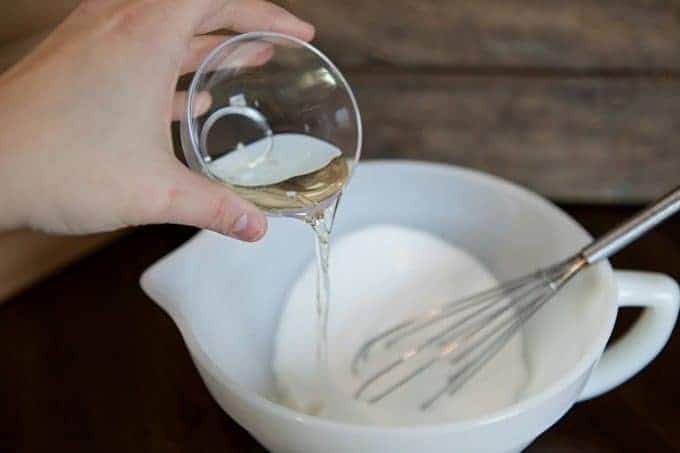 Pour sugar into a medium-sized bowl. In a separate bowl, measure out your coconut oil. Place in microwave for one minute, stirring every 15 seconds until melted but not hot. Add Peppermint essential oil and food coloring. Mix until thoroughly blended. Store in airtight container.